Wayne Pacelle, Ed Sayres, Ingrid Newkirk and whatever no-names run the American Humane Association and the National Animal Control Association should be worried. They are losing their battle to maintain the status quo of “catch and kill” sheltering which their organizations have championed for decades; and, in the case of the ASPCA, since the great Henry Bergh’s death in 1888. A monumental event took place on June 11, and it threatens to undermine the very foundation beneath their feet. On June 11, my organization the No Kill Advocacy Center teamed up with Minnesota’s Animal Ark No Kill shelter to launch a national day of No Kill. We asked shelters across the country to put down their “euthanasia needles” and pick up cameras: to photograph animals, promote them and find them homes instead. For Just One Day, we asked shelters to pledge not to kill any healthy or treatable animals. 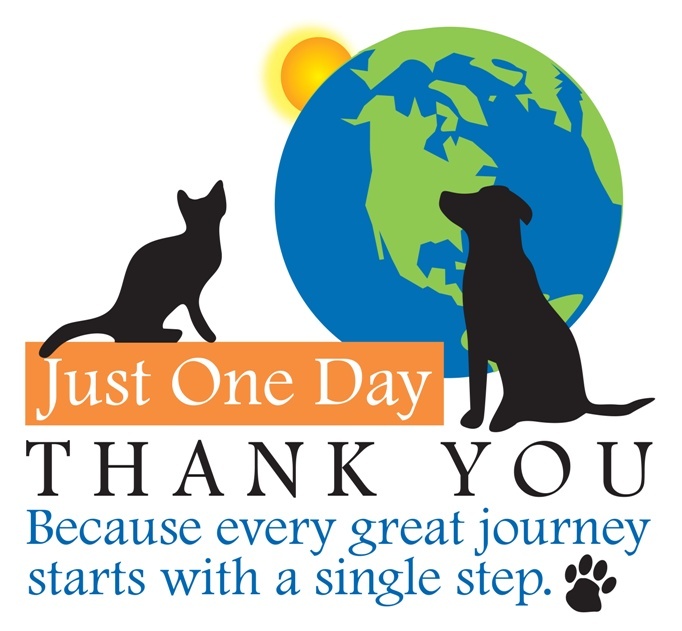 And we chose June 11 because it was the anniversary of the first No Kill community, the day I started at the Tompkins County SPCA in Ithaca, New York, an open admission animal control shelter for all ten towns and municipalities in the county. And 800 shelters and rescue groups answered the call. In fact, judging from the news stories of shelters that participated but did not officially sign the pledge form, the number is much higher. Those participating included some of the largest animal control shelters in the nation. Not only did they commit to adoptions, many of which were normally closed that day staying open, but they embraced both the concept and term No Kill. 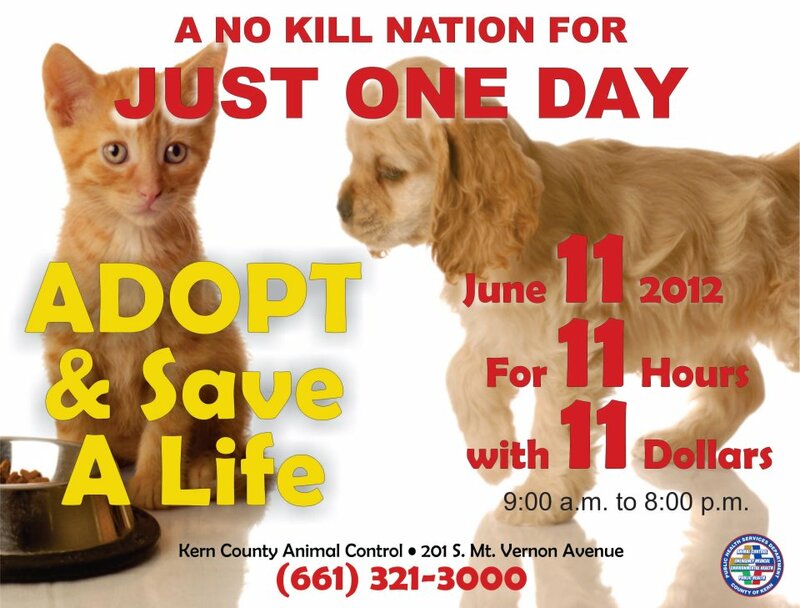 On June 11, Kern County Animal Control, a shelter I was once involved in a lawsuit against, embraced a call “for a No Kill nation” and stayed open for 11 hours. Roughly 100 animals found homes. Houston’s shelter, which I assessed several years ago delivering a blistering critique, normally closed on Monday, opened for the day and placed 231 animals. They are also sending five people to the No Kill Conference. 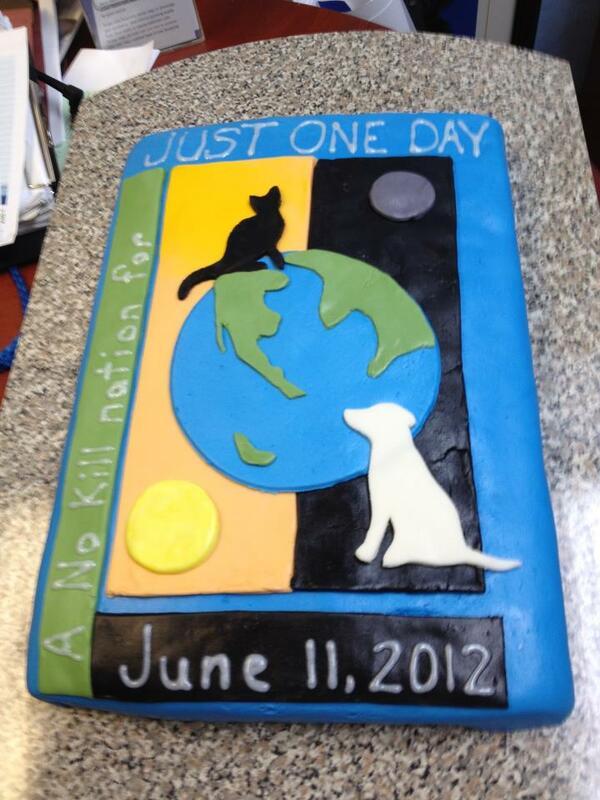 Miami-Dade Animal Services also participated, placed 116 animals, unanimously passed a No Kill resolution, and then celebrated with a No Kill cake, baked by the supervisor of animal control. [A]doption numbers reached well over three times the norm. With 34 wiggling tails and happy meows now out in their new homes, the Williamson County Regional Animal Shelter is able to open their doors to more life-saving challenges and continue the trend as we move forward to a No Kill Williamson County! Boone County Animal Shelter in Kentucky saved 57 animals. Roanoke in Virginia reported 36 adoptions by mid-day and a shelter full of potential adopters. They, too, are normally closed on Monday. In an Arizona shelter, 88 out of 100 dogs and 28 out of 30 cats were adopted by 11 am. In another community, they ran out of animals. Yet another reported staff crying: they had never seen so many animals going out the front door in the loving arms of families. And that is just the tip of the iceberg. Rescue groups which participated, even those already No Kill, reached out to their local shelters and pulled additional animals for their own adoption events, increasing the number they normally would have saved. In Sacramento, a rescue group pulled 32 animals from the city shelter. Even a shelter that normally doesn’t do any adoptions (but will transfer animals to rescue) did both—sending dozens to rescue and adopting directly to the public themselves. Between 7,000 and 9,000 animals were placed that day. In short, it was the single, safest day for homeless animals in shelters this century, with the support, endorsement and embrace of traditional shelters all over the country. And the shelters participating did not shy away from embracing No Kill or the term. It was a watershed moment. Not just because they did so or the animals normally killed in years past were saved, but because of the valuable lessons hundreds of traditional shelters across the country learned. They learned that No Kill is not to be feared. They learned that rescue groups are not to be feared. And they learned that the public is not to be feared. In fact, we are all partners—ready, willing, and able to work together the moment they decide to do so. They learned that when you embrace an end to killing, when you engage and partner with the public, when you work with rescue groups, when you reach out to the media, and when you make it easy for people to do the right thing, great things happen: you empty the shelter the good way. But they also learned one more thing. They learned that if you want to save lives, you do not turn to HSUS, the ASPCA, AHA, or NACA and their antiquated dogmas which represent the past. You turn to the No Kill movement which represents the future. Not only did none of the large groups participate, but they continually denigrate our efforts: they call No Kill hoarding, they claim rescue groups cannot be trusted, they say you can’t adopt your way out of killing, and they continue pushing business as usual. June 11 may have been Just One Day, but it was decidedly not business as usual. And, over the long term, that just may be the most important lesson of them all. A lot of people—too many to individually name—deserve credit for the amazing response to Just One Day all over the country. Thank you to all the participating shelters and rescue groups. Thank you to all the adopters, the media, and everyone else who made a lifesaving difference in their communities for Just One Day. And a very special thank you to Mike Fry who came up with the idea and Beth Nelson who spent five giddy hours promoting it on Animal Wise Radio.